Employer wins first stage of cancer compensation dispute; WorkCover Qld explains best way to reduce compensation costs; and WorkSafe ACT targets workers' comp policy breaches. ACT confirms premium hikes; and Seven jurisdictions committed to asbestos-eradication plan, says Shorten. ACT employers are likely to pay higher workers' comp levies, under a Government plan to support all 28 recommendations of the recent construction industry inquiry, and to reduce the burden to taxpayers of administering the OHS and workers' comp schemes. Review of injured workers' leave-accrual rights in NSW confirmed; Compensation policy failures cost ACT employers $260k; ACT Government urged to investigate its own policies in safety probe; and FWBC advisory board appointed. A few "good" hours do wonders for injured workers; ACT employers warned about workers' comp policies; and Essential safety news from around Australia. 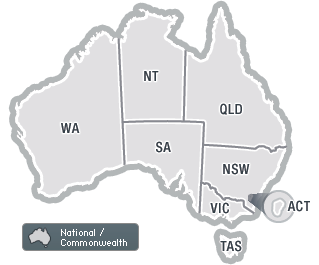 WorkCover NSW funds harmonisation awareness; WorkSafe Victoria announces fatality probe and new campaigns; WorkSafe ACT announces falling premiums, releases harmonisation guides; and Essential OHS news from around Australia.